Excavating and burrowing sponge that tends to cover, although not completely, the excavated substratum. 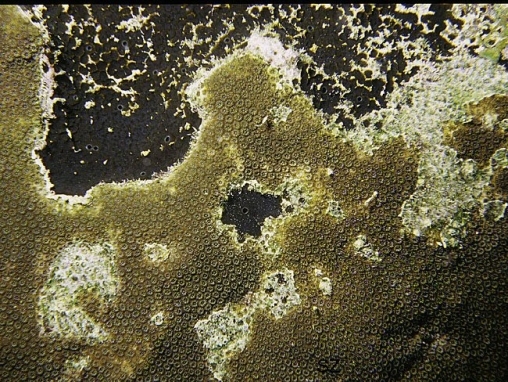 It appears as a brown black, incomplete and irregular sheet, often with scattered papillae, which are small, isolated pieces of tissue containing oscules or pores, which are interconnected to each other under the surface. Oscules are small, sometimes contrasting in color. 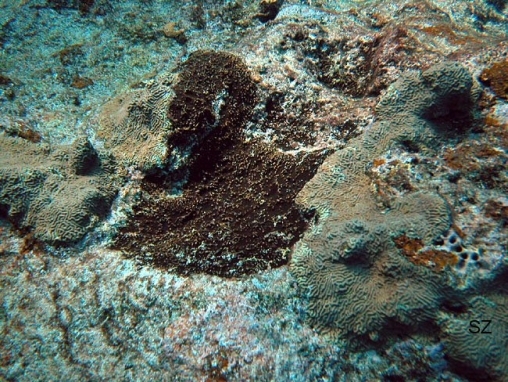 It may colonize live coral, displacing the coral as it spreads. It may be confused with papillated Cliona caribbaea, whose papillae tend to be larger, with larger oscules, which usually have a grayish collar surrounding the oscule. It is clearly distinguished from other brown encrusting and excavating sponges by its darker color and by being incompletely encrusting.